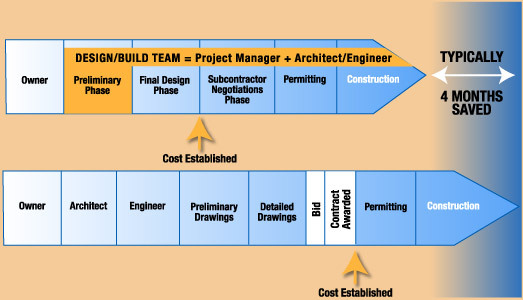 Our design/build concept allows many design, engineering, construction and permitting activities to be conducted simultaneously while detailed final drawings are being completed. Our team is completely responsible for the project with you as a partner. This approach assures smooth communication channels to maximize results and eliminate potential problems.